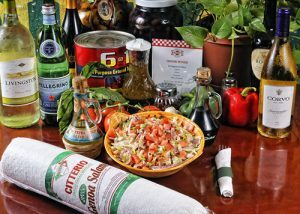 Our salads are filled with delicious vegetables, healthy dressings, and if you desire, meat. 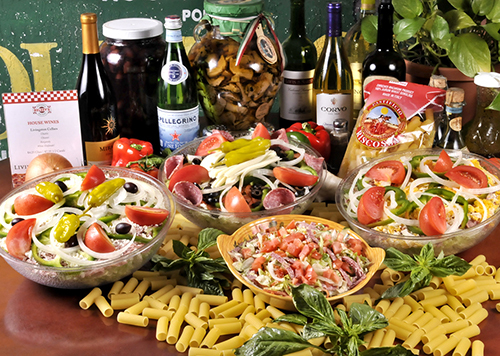 Below, you’ll find a selection of our salads. 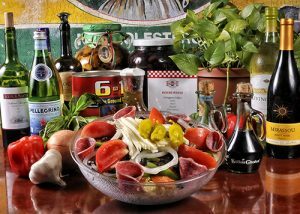 A bowl of shredded lettuce garnished with sliced ham and cooked salami, vine ripe tomatoes, onions, green peppers, crumbled feta cheese, olives, and pepperoncini. Served with our famous house dressing. 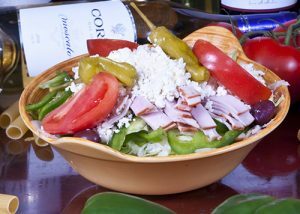 Shredded lettuce topped with smoked turkey breast onions, green peppers, tomatoes, carrots & cucumber. Served with a balsamic vinaigrette dressing. Made with shredded lettuce, diced salami, pepperoni, chopped onions, green peppers, cucumber, crumbled feta, mozzarella, white cheddar and tomatoes tossed with Balsamic Vinaigrette dressing. Made with pan fried chicken, shredded lettuce, feta, green peppers, tomatoes, and cucumber. Topped with a Balsamic Vinaigrette dressing. Layers of filo dough filled with seasoned spinach, onions, fresh dill, diced onions and chopped parsley. 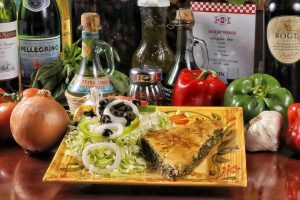 Served with a meatless Greek side salad. A bowl of shredded lettuce garnished with mozzarella cheese, salami, pepperoni & topped with sliced tomatoes, onions, green peppers, sliced black olives, and pepperoncinis. Served with our famous house dressing. 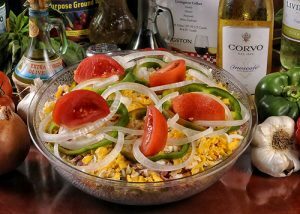 A bowl of shredded lettuce garnished with sliced ham and cooked salami, vine ripe tomatoes, onions, green peppers and cheddar cheese. Served with choice of dressing. 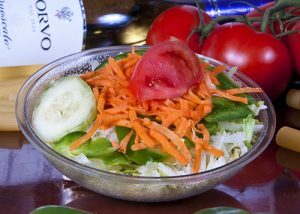 Shredded lettuce topped with fresh green peppers, onions, tomato carrots & cucumber. Served with choice of dressing. 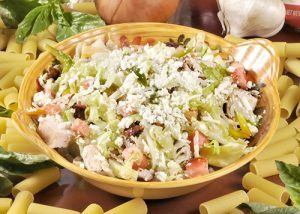 Romaine lettuce tossed in a homemade, zesty, traditional dressing. Topped with oven baked croutons and grated Pecorino Romano cheese. 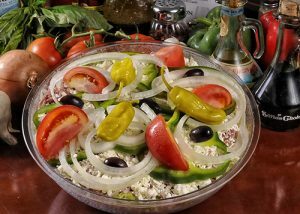 Wedges of tomato, green peppers, onions, Kalamata olives, and cubed feta sprinkled with Greek Oregano and tossed with imported extra virgin olive oil. All salads come with dressing (PC-portion cups). One PC for a side or mini, Two PC’s for a salad for one and Three PC’s for a salad for two. If you request more than one additional PC per salad, you will be charged .35 cents for each one.